Testing will prioritize the following items to keep things focused. Players using new item changes (as listed below) to reach the highest levels of the Greater Rifts. Legacy of Nightmares Seasonal buff experimentation, particularly with those builds with unexpected bugs or interactions. Ask yourself what you expect in future, what needs improvement now and what was done right. To make PTR farming significantly quicker, stock up on Bovine Bardiches, Puzzle Rings and similar items beforehand. Break the game and report if you manage-it will ensure the next launch is smoother. Occasionally, you will spawn somewhere strange when using portals dropped by Treasure Goblins. Expect new effects in Kanai's Cube after using Primal Puzzle or Ancient Rings. PC Players will now see if they used their Cheat Death buff in Party portraits. Permanent pings will appear on spots where bosses fell in the Nephalem Rift until that Rift's closure. PC Players get a reworked Boss Notification screen. PC Players get a reworked Greater Rift Notification screen. PC Players get a reworked Greater Rift Completion screen. During a Greater Rift, players will not be prevented from entering the game due to matchmaking. However, it is impossible to join an active Greater Rift after entering a game. Every player will able to see their Greater Rift progress after entering a game. Season Journey Journals now show all chapters. Ring of Royal Grandeur now active for free. (NEW) 5-7 are affected after consuming the Bottomless Potion of the Unfettered. Akkhan's Leniency : Three-second 75- to 100-percent 15- to 20-percent damage increase of Blessed Shield when used to hit enemy. Bloodtide Blade: Enemies in a 25-yard radius suffer 80- to 100-percent 300- to 400% damage with Death Nova. Chantodo's Will: Release Wave of Destruction in Archon form; enemies within a 30-yard radius suffer 4000-percent damage per second; Wave of Destruction damage increased by 4000-percent for all non-Archon form attacks (can be multiplied 20x); Attack speed increase also speeds up Wave of Destruction ticks. Jekangbord: Damage increment of 225- to 300-percent and six extra ricochets on enemies for Blessed Shield. Sage's Set: Dropped Death's Breaths amount doubled. Chat failure within public games (PS4 and Xbox One). Incorrect objective number for Immortal King's Set Dungeon. Zero players online incorrectly shown on player counter UI. Players getting Primal drops for Greater Rift 70 with a first time completion of over 15 minutes. Objectives not immediately updating after completion of Bounties requiring interaction with an object. Kanai's Cube UI displaying additional Puzzle Ring tab on consoles when Puzzle Ring is equipped. Torment levels games not displaying Keywarden icons on the map on Switch. Certain subtitles going off-screen in Taiwan localization on Switch. Hidden mouse cursor when launching Mac client. After defeating Key Wardens, players still having access to Public Games tagged "Key Warden". Great news, Nephilim! You can now re-enter the original world of Diablo (the first game in Blizzard's legendary series). In a groundbreaking collaboration between Blizzard and GOG.COM, this action RPG is available once again with a few quality of life improvements, such as enhanced HD graphics and compatibility fixes. Hurry up and get your copy now for a nostalgia bomb that will make you feel like 1996 again. The realm of Sanctuary with its darkness and ominousness atmosphere was introduced to the world through Diablo on the 31st of December, 1996. The Lord of Terror and his dark minions needed to be defeated and many brave heroes took on this challenge by venturing down the terrible depths of Tristam Cathedral and, for the first time, heading on a journey that will eventually spawn a series action RPGs with tonnes of action and a loyal fan base. Now, the Blizzard classic can be enjoyed by a new generation of eager adventurers in its original glory as it becomes a DRM-free digital download for the first time in history. And it can be found only onGOG.COM!. Despite sporting fancy new HD visuals and fixes for compatibility issues with current gen PC hardware and operating systems, the GOG team has made sure the original adventure remains intact. You can go on the journey solo or with your buddies using direct or network IP. Everything is rendered in the original�s SVGA enhanced 3D graphics; this includes the stairways, monsters, treasures, traps, corridors in every randomly-generated room. Go back to where the journey began.Head on over to GOG.COM and download Diablo is directly from there for just 9.99! Diablo is only available in English, as you already know. Get in touch with GOG directly for troubleshooting, patching, installation, download, purchase and payment. Log onto Battle.net if you to contact the Blizzard team for support. The GOG-enhanced version, original version and Battle.net-compatible version are the versions of Diablo currently available. Not only was the Battle.net version of the original preserved, but you can also connect with other players using the online-gaming service Battle.net from Blizzard. A couple of quality of life improvements are available in the GOG-enhanced version, such as compatibility fixes, control of the refresh rate, resolution support for up-scaled graphics and small audio fixes. However, for multiplayer, this version only supports P2P and LAN connections (Battle.net is not supported). There are streamlined features offered by the GOG GALAXY client. However, you don't need them to run Diablo. GOG.COM has a list of all the system requirements. Battle.net app will not have Diablo available for download or purchase. At the moment, there are no plans for Diablo: Hellfire to be brought to GOG.COM. If you are asking yourself whether GOG.COM will have Diablo II and Diablo II: Lord of Destruction available in the near future, know that both of them are available for digital purchase and download on the Battle.net Shop right now. Will classic Blizzard games other than Diablo also be available? Absolutely! A partnership to release Warcraft II and Warcraft: Orcs has been made between Blizzard and GOG.COM. You can expect further details to be released in the near future. Why is Blizzard Creating Diablo Immortal? Ever since Diablo was released back in 1996, the action-packed dungeon crawler has remained a staple in the gaming world. Not only did it blow all of the competition away, but it also spawned several imitators from companies looking to recreate the immensely entertaining, dungeon-crawling grind that the Diablo series is now famous for. 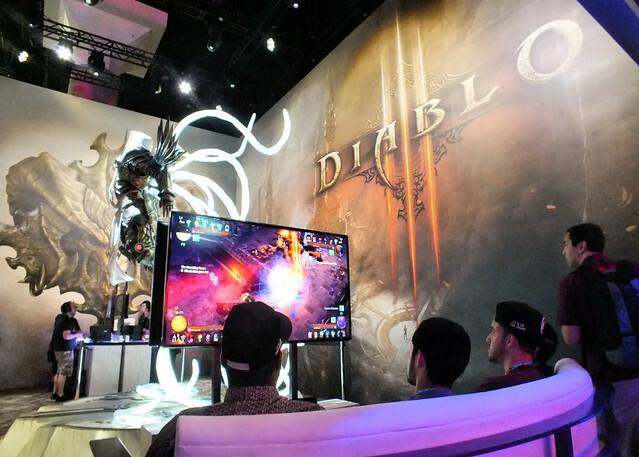 After Blizzard was able to capture the hearts of console players when they released Diablo 3: Ultimate Evil Edition, it seemed the game developers could do no wrong. This is probably why their decision to create a mobile version of the classic ARPG, though undoubtedly controversial, didn�t completely turn players away. Some players are even excited about their favorite game finally reaching smartphones. After all, dystopian adventures and post-apocalyptic RPGs are all the rage right now. One of the most successful console games so far this year is the Resident Evil II remake, while popular mobile game Plants vs Zombies continues to draw in more players looking for a quirky take on the end of days. Meanwhile, even the iGaming industry is embracing the fad, with apocalyptic slot game Lost Vegas receiving tons of praise and positive reviews. That said, casino games always seem to have been ahead of the curve when it comes to creepy fantasy, as well as when it comes to mobile gaming. Jackpotcity is referenced here as having over 400 slots including Immortal Romance, Lost Vegas and several other edgy games. All of these titles are available to play on mobile, giving players on-the-go access to their favorite games wherever and whenever they feel like playing. Really, the iGaming industry is ahead of the game when it comes to mobile gaming and gloomy games, so it's no surprise that massive companies like Blizzard are keen to follow the industry's lead. What Do We Know About Diablo Immortal? Though there is no official release date for the game's release yet, rumor has it that we will see it in both Google Play and Apple Store by the end of 2019. What we do know is that the title is being worked on by leading industry expert NetEase to ensure that the click and slash system Diablo players have come to know and love will translate properly to touchscreen. As for the story, it's thought that Diablo Immortal will begin five years after the end of Diablo II. That's right: We'll be exploring exactly what happened following the destruction of the Worldstone and finding out how the world of Diablo III got so... miserable. Tyrael, Malthael, Leah and Deckard will all be making appearances, in addition to Valla and Josen, who both previously appeared in Heroes of the Storm. As for enemies, Baal and Skarn are probably going to making appearances during the mobile game. 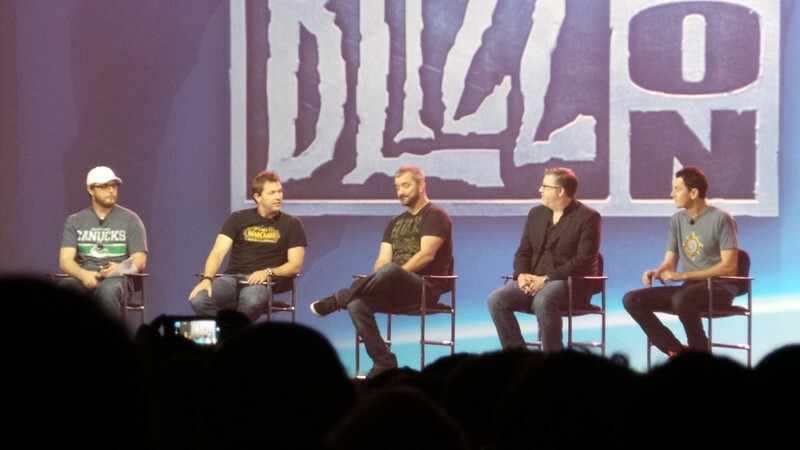 As if that wasn't exciting enough, apparently Blizzard will be introducing new abilities and techniques that have never appeared in a Diablo game before, and though the six classes will remain the same, they will apparently work together in a variety of new ways. We're sure more information will come out about the game before it officially reaches smartphones, especially since it's sure to be a big release. For now, though, we'll just have to wait and hope that Blizzard doesn't mess it up. "This book must never be returned to the Coven. They are not worthy of its secrets"
Traitor. Heretic. Witch. Adria is one woman who is not a stranger to any of these words. Who knew a common seller of magical items could become one of Sanctuary's most terrifying monsters? You can acquire this knowledge by venturing into the dark abyss in Diablo: Book of Adria. The Book of Adria, which is part beautiful art book with gorgeous illustrations and part tome of lore, will reveal to you about Sanctuary's various inhabitants and help you understand things you didn't know about the Burning Hells and High Heavens as you read through the witch's notes. It will even tell you about the inner workings of the Coven. This book contains tons of Diablo history through its untold stories, meticulous illustrations and valuable insights. If you consider yourself a master collector of Diablo lore, you need this book. The Book of Adria can now be purchased on the Blizzard Gear Store, Amazon and other online stores. Be warned that the chance of unleashing something purely evil exists if you decide to perform one of its dark rituals. The sellers of the book will not be held responsible if you summon your worst nightmare from the depths of hell. You have been warned. With knowledge, comes absolute power, and absolute power corrupts absolutely. The battle for Sanctuary just got an influx of new players since the Nintendo Switch got its own version of Diablo III that is why some questions need to be answered for the newcomers.Here are some answers for your most wondering questions. Thanks for sharing your tips with us. Question: What do new players need to know about hunting? Answers:Before buying expensive items when you are starting out, head on over to Kadala and purchase cheaper ones instead. Open every chest you come across!It only takes a second, and they can provide helpful upgrades (including stronger items). If you out level a Legendary item with a unique power, you can add it to Kanai's Cube, letting you keep the power even without the item. If you find a duplicate Set Item, you can convert it to a different piece of the set in Kanai's Cube. Equip a cosmetic pet in the Mystic in Adventure Mode to get a helpful ally that can pick up any gold that�s lying around. Answers: Don't worry too much about customising items with the Artisans or buying items from vendors before you hit level 70; you will still find useful gear upgrades by just playing through the game. You can gain access to stronger gear by equipping items that lower the level required to equipped them; you can craft them with a Blacksmith or look for them when defeated enemies drop items. When you are just beginning, collect every item; you can always crafts useful items with the Blacksmith, which will allow you to salvage what you don't need formats. Tip #3: Your Followers can be strong allies in battle! Don't forget to keep their skills and gear up to date along with your own. Followers are powerful companions who join you in battle. They'll accompany you as you venture outside of the safety of town and attack any threats you come across. Followers fight for you automatically, but you can choose skills for them that affect their behavior in combat and train them for you. Followers are most useful for their Crowd Control effects. By this I mean that they can cast stuns, slow, freeze, confuse, blind, or a myriad other actions to help you. These abilities come from the equipment you place on them. The Enchantress can even turn enemies into silly chickens with one of her skills. You also have control over their skills to aid in your health or resource generation. Another thing the Cannot Die token combined with a Unity Ring pair (one for the Follower, and one for you), can actually double the damage your character can take in battle. Tip #4: Myriam the Mystic can change the appearance of items and allow you to reroll stats be sure to customize your gear! Myriam Jahzia can see the future, by empowering your equipment and carefully guiding your journey, Myriam believes that she can help bring hope to the world. It's up to you to prove the truth of her vision. Don't worry too much about customizing items with the Artisans or buying items from vendors before you hit level 70; you'll still find useful gear upgrades by just playing through the game. Question:Which one of the Adventure Mode-exclusive zones you to visit first?